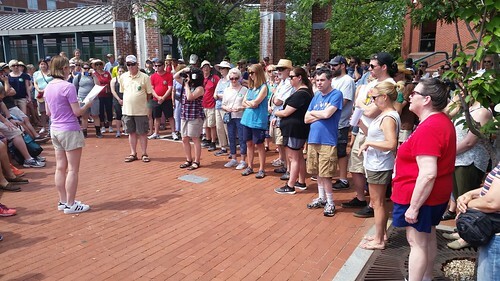 On the Lowell Walk on Saturday, June 30, 2018, Kerry and Wayne Jenness told 214 people about several historic crimes in Lowell. Those on the walk were delighted by the stories and many who could not be there in person have asked that the stories be shared online for all to enjoy. Kerry and Wayne graciously agreed to share their notes so that I could post them here. Below is the first of the stories on a $100,000 heist that occurred on New Year’s Eve, 1931. (To read more about the Infamous Crimes walk, read the great story by Amaris Castillo in Monday’s Lowell Sun). On the evening of Thursday, December 31, 1931, The Union National Bank packaged up $100,000 to be carried by the postal service to Boston for deposit at the Federal Reserve. For reference: $100,000 in 1932 is approximately equivalent to $1.7 million today. For about a week, almost every day the headline of the Lowell Sun had something to do with this story. At the main branch at 61 Merrimack Street (currently Fuji restaurant) the money was placed inside two canvas bags, which were sealed with pressed metal seals of the bank, and then brought by bank agents to the postal headquarters at 68 Appleton Street (Juvenile court building on corner of Appleton & Gorham streets). At the registered mail window, a mail clerk named Victor Magoon registered the bags and put them in a rotary locked registry pouch, then placed that pouch along with another similar one into a standard mail pouch, which was then locked with an iron lock. From there, the pouch was to be put on a truck and brought to the Boston & Maine depot on Middlesex Street, where it would be loaded on the express train to Boston leaving at approximately 9:30PM. The Lowell postal authorities began to assume something was wrong when they did not receive a receipt for the pouch’s arrival in Boston. Since it was New Year’s and a holiday, they were not alarmed until they had not received a receipt by the morning of Tuesday, January 4th. 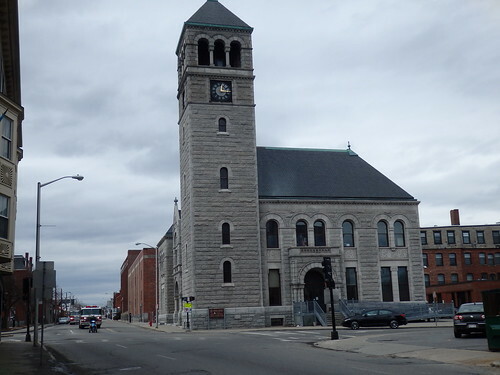 The postmaster, a man by the name of Xavier A Delisle, opened an investigation with the postal inspectors, who teamed up with the Lowell Police Department, the railroad police, and the Pinkerton private detective agency. The Federal Reserve Bank notified its insurance company in New York which rushed an inspector to Lowell and sat in on the investigation, as the insurance company would be on the hook if the money was not recovered. The story stayed out of the public eye until Wednesday, January 5th, when news of the disappearance was made public. As we’ve all learned from pirate movies, X marks the treasure. The trail broke off abruptly at the Lowell depot. The railway’s mail clerk who worked on the train that night told postal inspectors that he only received two pouches that night. On Thursday, January 7th, the Lowell Sun’s front page headline read “NO REAL CLUES TO MAIL ROBBERS” “Substantial rewards” were announced for information that would lead to the recovery of the money and for the return to the post office of any of the five containers (two bags and three pouches). Thursday’s investigation absolved Louis Skaff, the driver of the truck that transported the missing pouch along with the other pouches from the post office to the train depot on the night of December 31st. Skaff was heavily questioned by the postmaster’s investigators and the police. The Postal Inspectors announced that the truck driver’s story concerning his actions on New Year’s Eve was straightforward and without loopholes. About 25 other men were interrogated and all possible angles to the matter were deeply probed, but nothing has been established other than the fact that the pouch left the post office on New Year’s eve shortly after 9 o’clock, bound for the depot in Middlesex Street for transportation to Boston. There were obviously many chances for theft at a busy railroad station on New Year’s Eve. There were scores of people standing or walking about the platform awaiting the arrival from Boston of a Montreal train. Although a railroad employee was told to watch the truck on which the pouches were piled, he did not do so, and therefore, for a considerable length of time, this truck stood on the platform unguarded. The pouches were dry when discovered, which was important because it had rained heavily on Wednesday night until about 5AM on Thursday, so the pouches had been ditched sometime on Thursday. Remember the truck driver who had been absolved? Well, on Friday evening, he was questioned at the Post Office on Appleton Street by Postmaster DeLisle, several Postal Inspectors, and Captain Petrie from LPD. At about half-past midnight, a car picked up Magoon, the mail clerk, and brought him in for questioning as well. At about 2:30 AM, both were transported to LPD Headquarters and booked. On Saturday, January 9th, the money was recovered! Magoon directed police to a spot in North Tewksbury, where he had hidden the money in a sack in light underbrush. The spot was diagonally across the way from the spot on Andover Street where the two empty registered pouches had been found. The hidden pouch contained practically all of the stolen money, as well as the other pieces of registered mail. All of the money, except for $900 was recovered under the brush on Hood Farm Road. The other $900 was recovered buried in a mason jar in the cellar of Magoon’s house on Olive Street. Turns out that Magoon had a previous conviction and time served in a federal prison for robbing a Post Office in Barre, MA. And two years before the robbery in Lowell, Postmaster Delisle had suspended Magoon because it was discovered that he lied on his application about his previous incarceration when a postal inspector saw Magoon’s photograph posted in a ‘rogue’s gallery’ in Boston. Delisle reported the suspension to the authorities in D.C., but after a span of six or seven weeks, he was instructed by Washington to reinstate Magoon to the job. Both Magoon and Skaff ended up being convicted of the crime and spent time behind bars. Magoon was sentenced to four years in federal prison in Atlanta, and Skaff was sentenced to serve one year and one day in the Worcester County House of Correction.